Lists are all the rage now so here’s my attempt at click-bait, also known as 3 Things We Learned from Ramadan 2015… Number 3 will amaze you. 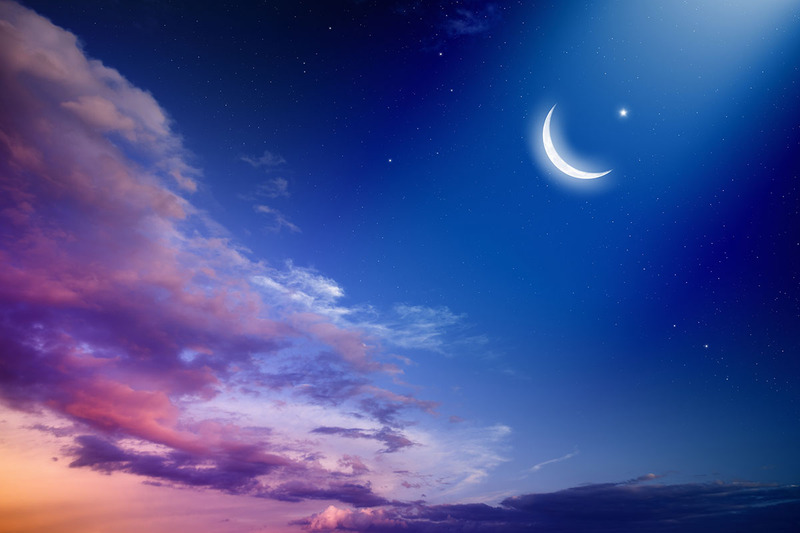 Deadlines being what they are I have to caveat this by saying that at the time of writing there are still a few days of Ramadan left but I’ll do my best to make comparisons to previous years. Comedy always does well in Ramadan but a lot of effort seems to go into big dramas and series. Undoubtedly they get respectable audiences but I suspect on a cost per minute basis it’s not providing as good a return as relatively cheap humour. Everyone likes to laugh, whether it’s with the family in the early evening or with friends late at night. MBC always has some major set-piece historical drama but this year’s Alf Lelah We Lelah (1001 Nights) was consistently outside the top 5 programs for All Arabs, unlike Saraya Abdeen in 2014. In fact the top drama in both years was an old favourite Bab al Hara, now in Season 7. The difference was that whereas Bab al Hara conquered all in 2014, this year it had to settle for second place behind Ramez Wakel Al Gaw. Last year Ramez and his practical jokes on unsuspecting victims only managed third. In fact Ramez packs a triple punch. Not only did the daily premiere in prime time get an average of more than 230,000 viewers and a stunning 30% share of viewing but the repeats at 4am and again in the afternoon were respectively the 9th and 10th most watched shows. If the viewing was unduplicated it would bring the total to nearly 370,000 per day. The 4am slot is a very clever piece of scheduling, designed to catch the bleary-eyed around Sohour as they prepare for the day of fasting ahead and are looking for some light entertainment, or even watching again what they saw last night. It wasn’t all about Ramez either. In third place was another comedy, Selfie, scheduled in early evening to capture family viewing after Iftar but strategically after the popular animation series Shabayet Al Carton which captured 7th and 8th places, showing simultaneously on Dubai and Sama. The table below shows the top Arab programs from 2014 and 2015, with 6 of the top 10 this year as animation or comedy. One of the things I hate being told as the head of the UAE TV ratings system is that “It’s only the UAE” as if the third largest Arab economy was barely worth a mention. In this scenario advertisers, agencies and broadcasters focus TV heavily in Saudi Arabia and assume that they will reach their targets in the UAE and other Gulf countries more or less by default, or using other media. But the more intelligent advertisers have been telling me for some time that they see less and less spillover, and accept the need to target specific audiences. 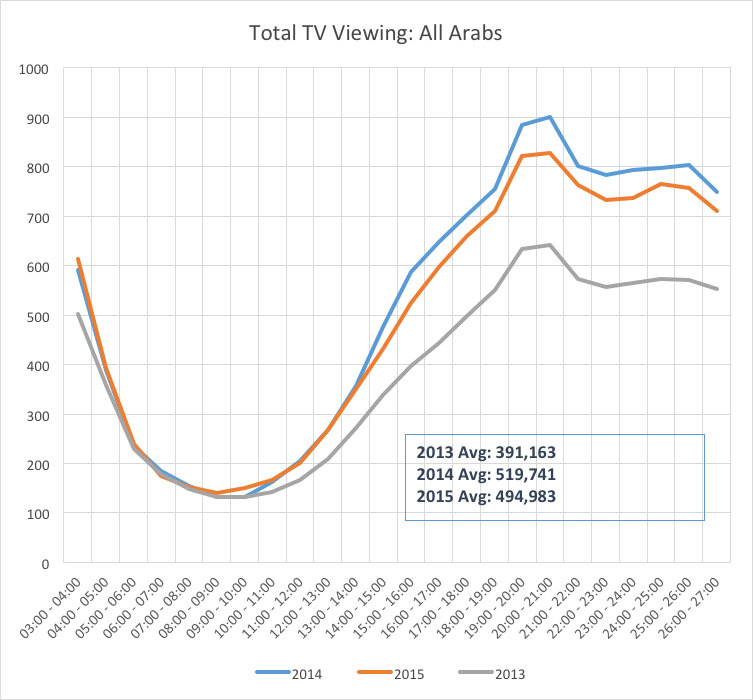 A look at the program and channel split between Expat Arab and Local Arab audiences more than confirms this. Go further and even in the respective top 20 programs (again, a reminder this is before the end of Ramadan) only four programs overlap. Ramez, which is only 4th for Emiratis, Shabayet Al Carton, Selfie and Omna Rowayhet Alyana. The message here is that if you want to reach an Emirati audience you have to think beyond the channels aimed at pan-Arab viewers. It also means that channels like Al Emarat and Sama Dubai can punch above their weight, even with individual programs. Al Emarat for example was 10th as overall Arab channel but halfway through Ramadan had the top Emirati program in Shabeh Al Reeh, a program which doesn’t surface in the top 20 for all Arabs. This sort of thing is missed by too many agencies and advertisers who don’t look sufficiently at the detail. It’s a trend which has only increased in the last few years and will continue to do so while authorities like twofour54 in Abu Dhabi and the newly created Dubai Creative Cluster support the development of UAE production and development as they show every sign of doing. At risk of contradicting myself here, the audience in 2015 was smaller and watched less TV. The average Arab household watched about 8 hrs 20 mins every day this year compared to 8 hrs 33 mins last year. The average daily audience was 494,000 in 2015, down from 519,000 in 2014. But before everyone stampedes for the lifeboats let’s have a closer look. First and very importantly recall what was happening in summer 2014, the World Cup. It had a significant impact on viewing, especially in the late evening and early morning, with the knockout stages and final taking place during Ramadan. Second, both 2014 and 2015 were up on 2013 when the average daily audience was under 400,000, as Chart 1 shows. It’s based on Total TV so it includes any time the TV was on, even if they are channels tview doesn’t monitor so it’s a good benchmark. The average audience shows us how much TV was watched. It’s the same as saying that around 500,000 people watched every minute of the day. A more important figure might be overall reach i.e. the number of people who switch on at any time. This shows that Reach has been increasing and in fact increased from 2014 to 2015. So more people watched TV, they just consumed a little less in volume. The other piece of evidence I submit in defence of TV is the popularity of repeats. If indeed people were flocking to video on demand, second screens and so on, surely repeat episodes would be the first to suffer. Why wait for something in the linear environment when you can see it anytime anywhere? The answer is multi-faceted but at heart it lies in the enduring popularity of television as social medium to be enjoyed as a sit-back experience. That brings me to a final point, regarding social media and specifically Twitter. Over Ramadan EMMC and Kantar, which operates the tview panel, piloted a new form of research called Twitter TV. So far this is running only in the UK and Spain, and Nielsen runs a similar service in the US. It’s based on looking at TV hashtags related to programs, actors, channels etc in a window around the program transmission time. From that we can calculate the number of tweets, retweets, total impressions and views and a host of other data. It can even drill down into brand affinity, answering questions like “People who tweet about this program are likely to also tweet about which brands?” and vice versa. As it’s only a pilot and we’re still analysing and digesting the results with the channels which took part I can’t at this stage offer any detailed insight. It’s also based on regional activity so correlation to programs is difficult. What’s remarkable however is the amount of activity about television. They really are very complementary not competitive. For the most talked-about program on Twitter on a busy day there may be more than 50,000 tweets by about 25,000 authors peaking at over 1000 tweets a minute. From what we can see the pattern tends to work around tweeting during ad breaks and looking at how this varies in different types of programs will be one of the areas we’ll be looking at… but that’s another article. Christopher O’Hearn established and led ‘tview’ in the UAE, the first large-scale TAM system in the Middle East as head of the JIC. He conducted vendor contract, joint-venture negotiation, marketing, branding and recruitment. Christopher is a project management expert and consultant specialising in media, with experience in UK and Middle East. He has a Masters degree in Project Management. His past projects include: Complete Pay TV platform setup; major studio and facility construction and fitout; media business planning and consultancy; production and journalism. TAM Out of the Box – Social and Cultural Challenges of TAM Measurement.